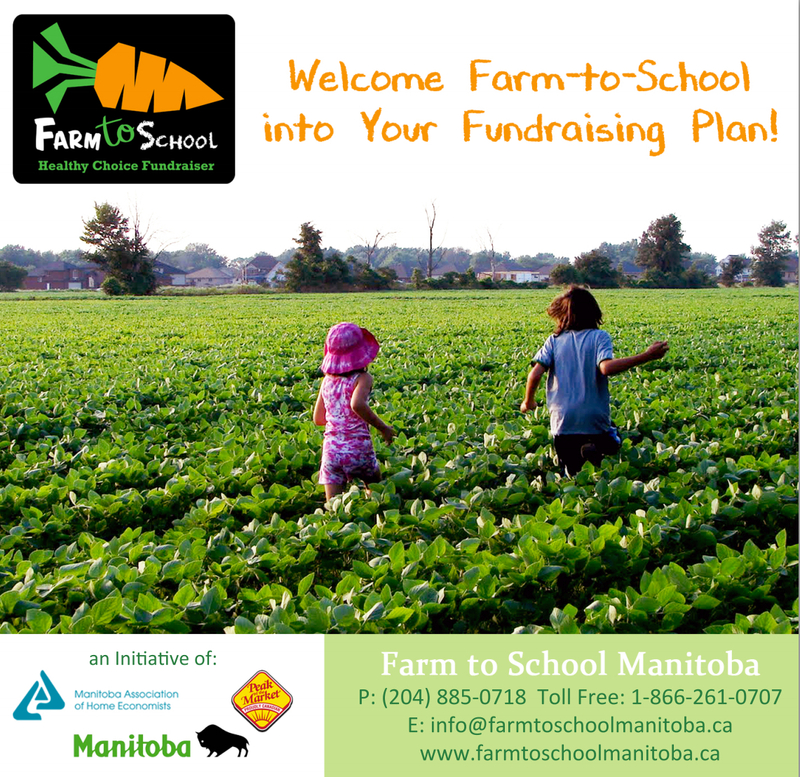 It’s that time of year again; Farm to School Manitoba is back for another amazing year of providing fresh locally grown Manitoba veggies to schools and daycare centres. 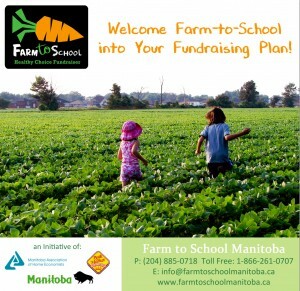 Farm to School is a fundraiser available to schools and child care centres that use vegetables as their fundraising product. It’s a fantastic way to get fresh local vegetables delivered for one price throughout the entire province. All veggies provided from the fundraiser are grown in Manitoba and distributed by Peak of the Market, whom guarantees freshness of their product upon arrival. Once Farm to School product arrives at schools and daycare centres it’s an exciting rush to retrieve all the items off the delivery truck and get the bundles assembled by the fundraising volunteers. Once all the bundles are assembled and ready to travel home with students and parents that’s where we might run into trouble with ensuring the vegetables last for as long as they are able too. Leaving fundraising items together in their reusable bag is not a favourable storage method for the Farm to School fresh vegetables. 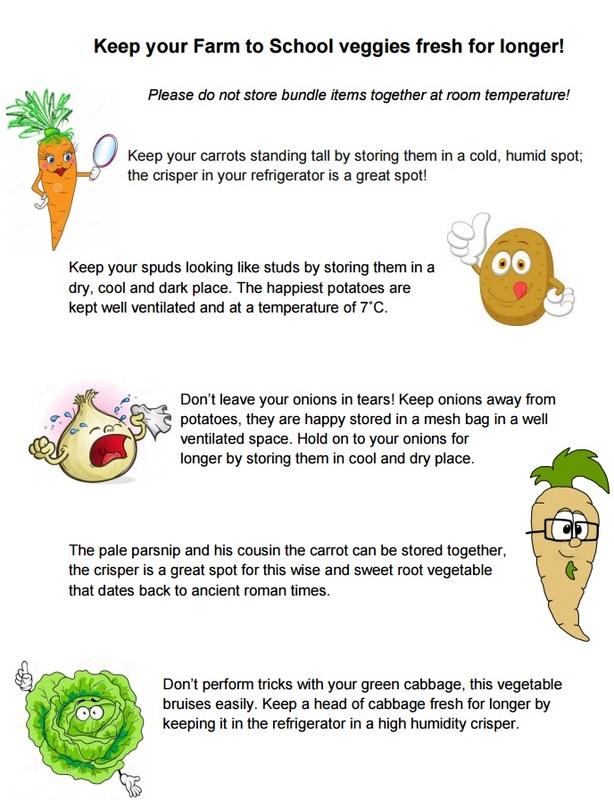 Working with a perishable fundraising item, it’s important to provide Farm to School customers with the knowledge on keeping their veggies crisp and fresh to ensure it is safe once brought home by our veggie eating customers. This year we have a resource sheet with easy to follow tips that can be brought home to parents providing suggestions on how to store the Farm to School vegetables in your home. 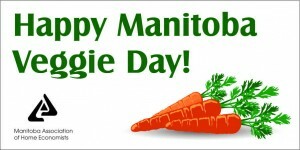 This week Manitoba Association of Home Economists will be declaring with the province of Manitoba Local Veggie Day in Manitoba on September 17th at Winnipeg Harvest. This is an exciting time for us as donations are a huge part of our fundraiser. We are proud to be partnered with Manitoba Association of Food Banks where 41 food banks are able to receive donations from generous giving schools and daycare centres. The past 2014 fundraising term 87,200 pounds were donated throughout the province by our generous 357 schools and daycare centres! Go Friendly Manitoba!